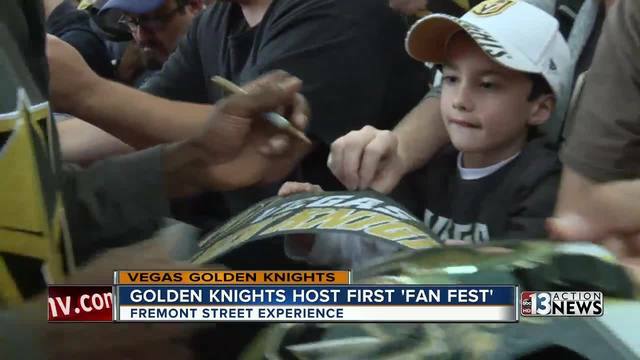 The Vegas Golden Knights held their first fan fest on Fremont Street, bringing out thousands of fans Sunday. It all kicked off with a Golden Knights red carpet as players got the chance to get up close and personal with fans. Many fans, decked out in Golden Knights gear, getting to say "hey" to their favorite players and get autographs. Players we spoke with say the fest isn't just about celebrating the team, but everyone coming together to celebrate the spirit of Las Vegas. “I’m a native, so the idea of having a professional hockey team for the first time has been a dream come true,” says one fan.